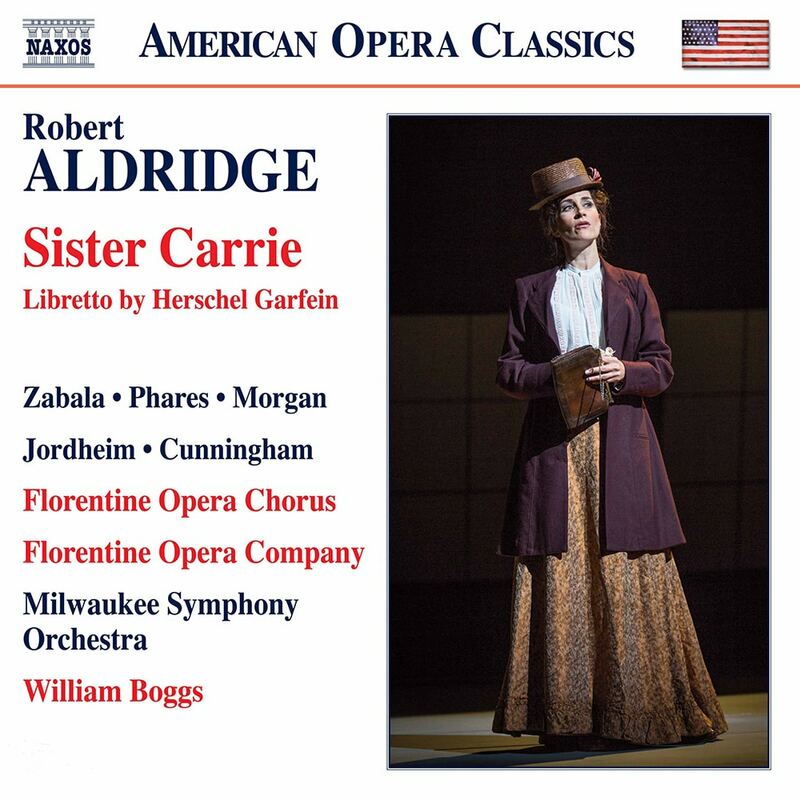 This Naxos release presents the live, world premiere recording of Robert Aldridge and Herschel Garfein's operatic adaption of Theodore Dreiser's 1900 novel Sister Carrie. Starring Adriana Zabala in the title role, the story follows Carrie from her arrival in Chicago as a green country girl through her rise (and setbacks) in relationships and the world of the theatre. Joining Zabala are Keith Phares, Matt Morgan, and Alisa Suzanne Jordheim with the Florentine Opera Chorus, the Milwaukee Symphony Orchestra, and conductor William Boggs.